Water Associates was established in February 2000 to serve a growing need of ag irrigation products in the Central Valley. Originally the company only sold and serviced the Calaway Calcium inhibitor product for water wells. Since that time we have expanded our water treatment line of products to fully serve all agriculture and municipal water treatment need. 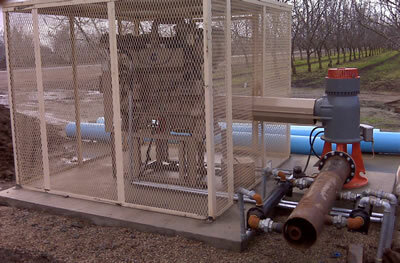 We then saw a growing need for a full service irrigation power company within the Central Valley. We have since expanded our company to become authorized Cummins Engine dealers. We are a full service dealer, with a fully equipped machine shop to service and rebuild engines. We also have full time mechanics to do field service for our clientele. We also sell, service and install a full line of electric motors and gear heads for agriculture and municipal use. Water Associates has an experienced sales staff along with our highly trained mechanics to assist in all service and maintenance needs. With Water Associates OEM buying power for all engine and engine parts we are able to pass along exceptional discounts to our customers. Water Associates is your one-stop shop for all your irrigation needs in the Cental Valley. How can one of your services help you?